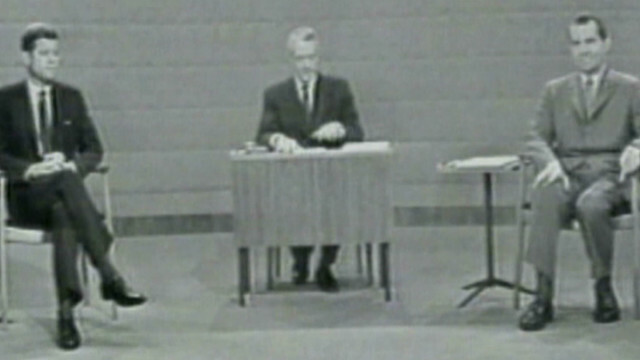 John F. Kennedy and Richard Nixon at the first televised presidential debate, before either were presidents. (CNN) – The first of this election season's three presidential debates takes place on Wednesday night in Denver, CO. In this week's Sunday Playlist, we're looking forward to the debates and all the much-deserved hoopla that surrounds them.